Upswing are offering an aerial workshop. Using expressive movement and aerial dance, the participant will experience flying skills and aerial techniques and learn the basics of harness based techniques, bungees and silks with one of the most established aerial companies in the UK. 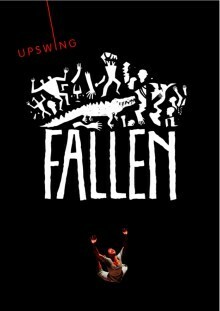 The workshop lasts 2-3 hours, will be led by the Creator and Director of Fallen, Vicki Amedume - Artistic Director of Upswing. PLAEASE NOTE: THIS MASTERCLASS IS FREE BUT YOU MUST SIGN UP IN ADVANCE BY CONTACTING THE BOX OFFICE OR BOOKING ONLINE.